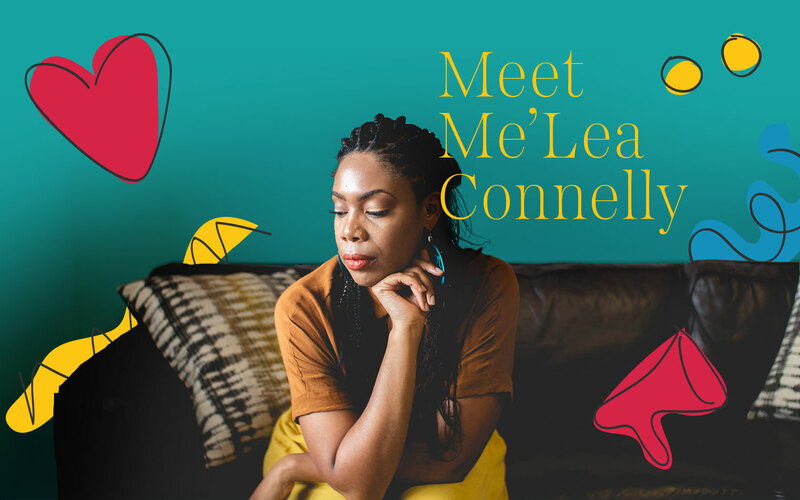 Me’Lea was, by that point in her career, already a full-time activist devoted to black liberation and she’d just learned Philando Castile was killed by a police officer in Falcon Heights. Her tears were salted by anguish and sadness. Frustration and fatigue were in there too—not even eight months earlier police had killed Jamar Clark in Minneapolis. Leaving town at 500 knots made the gratuitous loss of another black life more difficult to manage; Me’Lea’s pain was magnified by the expanding distance. A kind of helplessness arrived. When you love your community as she does, how else should you feel as you leave it just when you’re needed most? There was, at the same time, relative safety in the sky. The city and its inhabitants, its dramas and disturbances, they all seemed different when viewed from above. The distance offered a perspective not easily accessed down on the ground. In spite of her grief, Me’Lea pressed into action. She began rough sketches toward an audacious idea—arrival to liberation requires departure, exodus. She says this at the Association for Black Economic Power’s stylish but spartan offices in the Harrison neighborhood of Minneapolis’ Ward 5. As she speaks, she’s sitting beneath a banner for Village Trust Financial Cooperative, a credit union named by residents of North Minneapolis. Me’Lea and others are founding Village Trust, and she will lead it when it opens in 2019. In many ways, starting a black-led financial cooperative is trailblazing work. Which is fitting because Me’Lea is a descendant of trailblazers. Post-emancipation, her ancestors were among the first blacks to migrate to Minnesota. They came from Kentucky in response to an ad posted by Scandinavian farmers. Generations later, out in the Bay Area where Me’Lea was born, her father was a successful software engineer, or, as she calls him, a Silicon Valley O.G. As a child, Me’Lea divided her time between California and Minneapolis, deciding to settle here. Me’Lea herself has trailblazing instincts. After college, she led a hardwood flooring company to impressive revenue growth even during the housing crisis. She was content in her life as an entrepreneur, but felt called to serve her community when Mike Brown was killed in Ferguson, Missouri. Me’Lea attended a small and peaceful protest at the Mall of America. As a result of her first protest, she began envisioning a better world for her son and decided to work as an activist. Me’Lea applied for and accepted a job with Neighborhoods Organizing for Change or NOC (pronounced “knock”). Ron Harris, who works today as a Senior Advisor to Minneapolis City Council President Lisa Bender, was employed at NOC at the time and was part of the group that interviewed Me’Lea. In other ways, starting a black-led financial cooperative is not trailblazing work. Me’Lea often tells prospective members and investors that Village Trust is “walking on a beaten path.” One of the first black credit unions in the ‘30’s was established in the Rondo community and was called Credjafawn. Not only did they have a credit union, they had a grocery co-op, they had a social club, and other cooperative, intertwined entities. But the first step is building a credit union. And Village Trust is progressing toward completion of that initial step. They plan to open their doors in 2019. They have significant funding from the Jay and Rose Phillips Family Foundation. They have 1,700 members out of the 5,000 they feel they’ll need, and they’ll submit their application for a charter this fall. Me’Lea is getting ready to complete the transition from entrepreneur and activist to banker—one fueled by an intrepid vision. Back in 2016, when Me’Lea was on a plane mourning Philando Castile, she called the plan she drafted ‘Blexit’ (inspired by Brexit). Later, when Me’Lea returned to the Twin Cities, she attended a community meeting convened to consider how best to prevent institutional violence against blacks. The community determined it could best shape its destiny if it had more influence over financial decisions in North Minneapolis. The idea was to start a credit union, but that idea was always a means to an end. The goal is the same as it ever was—black liberation. The truth can be denied and hidden and suppressed—in fact it has been—but the truth never goes away. Click here to pledge your support for Village Trust Financial Cooperative. 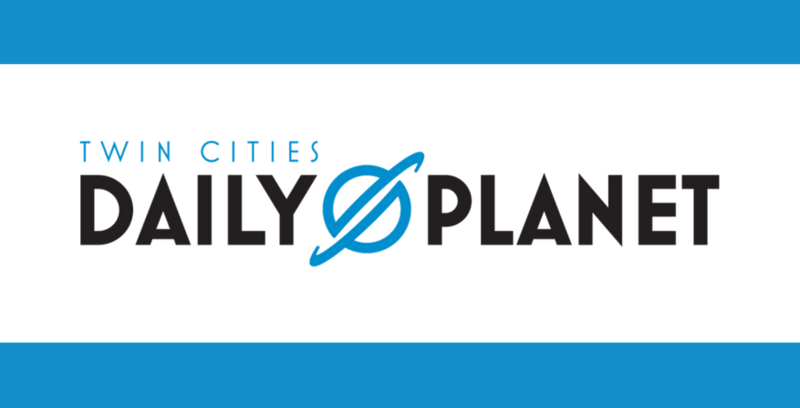 Twin Cities Daily Planet, an award-winning online publication powered by Twin Cities Media Alliance, is looking for an extremely curious, highly organized and driven Editor to advance its mission. Published twice weekly, the Editor works closely with the Publisher to shape the overall direction and content of the Daily Planet – whose mission is to amplify and connect marginalized voices. This includes managing contributors, curating events and cultivating community engagement. Working closely with the editorial team, the Editor is a collaborative self-starter who brings a critical and intersectional lens to the execution of high-quality journalism around social issues, politics and policy affecting marginalized communities. Manage editorial workflow and production activities leading up to publication – including managing pitches, overseeing research, maintaining editorial calendar, managing production schedules, driving the iterative revision process and proofreading, art direction and publishing of Daily Planet content. Identify, assign, edit and produce news/issue and feature stories – and occasionally write and report articles (2-4 per year). Manage the editorial team – Arts + Culture editor, freelance contributors, interns and fellows – including supervising work, overseeing deadlines and providing editorial direction. Maintain Daily Planet website (WordPress) and address technical issues via the webmaster. Co-create and manage short and long-term news and feature editorial projects (e.g. MPLS Votes voters guide). Recruit freelance contributors from a diverse range of backgrounds, disciplines, and skill levels to write, film, photograph and report on news/issue-driven topics. Provide direction and constructive feedback to strengthen the work of both experienced and emerging writers. Hold regular contributor orientation meetings and workshops. Oversee production of monthly resource newsletters to contributors. Work collaboratively with the editorial team to advance strategies to promote reader engagement and maximize story impact. Work with the Arts + Culture editor, interns and fellows to manage social media accounts. Track reader habits and trends around the newsletter and social media, providing weekly and monthly analytics report to the editorial team, and a yearly presentation to leadership. Monitoring the news and the conversations about it in social media and brainstorming ideas for news and feature pieces and writers. Build relationships and work collaboratively with media partners and community stakeholders – including nonprofits, community organizers, policy advocates, etc. Develop, manage and execute Community Circles – a space where community members come together to discuss issues and figure out how to tell their stories. 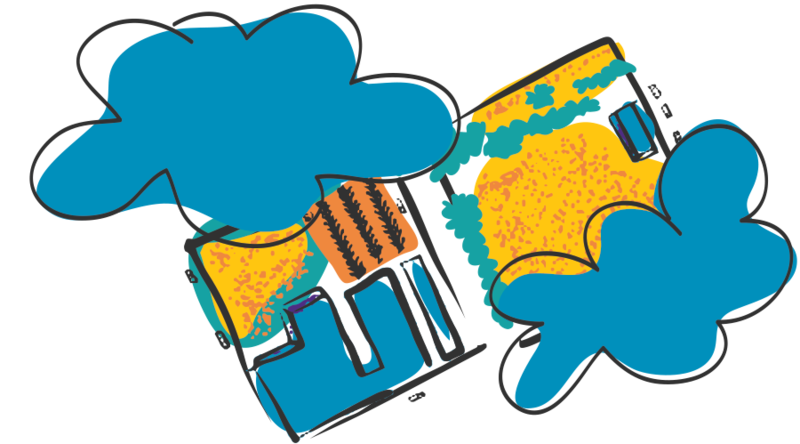 Co-lead the planning of community events/conversations hosted or facilitated by the Daily Planet. Attend and participate in Daily Planet editorial meetings, TCMA staff meetings, 1-on-1 meetings and TCMA events. Attend journalism/media-related events and conferences locally and nationally (periodically). Assist TCMA and Daily Planet staff with administrative, operational and marketing tasks when needed. Bachelor’s degree (or equivalent experience) in journalism, communications, English, political science, sociology and 3-5 years creating and managing editorial content for an organization (non-school setting). Superior project and time management abilities – multitasking effectively in a fast-paced environment while maintaining a commitment to excellence and deadlines. Exceptional editing ability and news judgement, strong writing skills, and a passion to use journalism as a tool to push for new narratives, critical thinking and conversation around issues affecting marginalized communities. Experience managing diverse teams and providing exemplary leadership. Ability to effectively work with and develop a variety of writers of different experience levels. Strong research capabilities and sense to maintain high journalistic standards and integrity. Self-starter with curiosity and a natural hunger for story. Ability to think on your feet and solve editorial and production challenges as they arise. Solid collaboration skills, but knows when/how to be decisive and make tough calls. Demonstrated experience working in/with traditionally marginalized communities. Comfortable using and managing a website (e.g. WordPress), digital files and Google Drive. Comfortable reading online traffic data and analytics (training can be provided if needed). Willingness to work a flexible schedule, as the news might demand. High aptitude for learning and is receptive to ongoing constructive feedback. Ability to advance a variety of different projects and editorial pieces on different timelines with varied scope. Highly developed ability to think critically and intersectionally, synthesize informed arguments around social issues, politics and policy affecting marginalized communities. An unwavering desire to create powerful news/issue-driven stories that amplify marginalized voices using a narrative journalism lens. A sharp editor, able to strengthen the work of both experienced and emerging writers. Awesome sense of humor and desire to support a sharp, resourceful and loveable team. Obsessed with excellence and professional standards around ethics, fairness, accuracy and transparency. Thrives in a culture of thinkers and builders of different backgrounds. This is a full-time salary position averaging at least 40 hours/week. Compensation is $38k-$42k per year depending on experience. Benefits include vacation pay, flexible schedule and work environment, and professional development. Deadline to apply is 11:59 p.m. (CST), on Friday, December 29, 2017. Interested applicants should submit a cover letter, resume and two writing samples to jobs@tcdailyplanet.net. Twin Cities Media Alliance is an equal opportunity employer committed to building a team that reflects our mission. We encourage applications from candidates who identify as people of color, Indigenous/Native American, LGBTQIA or are from other historically marginalized communities. TakeAction Minnesota is a statewide people’s network that brings democracy alive in communities across our state. We connect individuals and organizations to each other, creating a powerful force that makes change happen where it wasn’t possible before. Since its founding eleven years ago, TakeAction Minnesota has grown its breadth and depth. Our membership has grown 10-fold and touches every legislative district in the state. Our social media presence is robust. Our grassroots leadership is well-trained and shapes and implements the strategy of our various campaigns. As a result, TakeAction Minnesota has a track record of increasingly bold victories that change people’s lives for the better: the defeat of a photo ID constitutional amendment, massive public health care expansions, ban the box legislation, winning back $100million from HMOs, more than $400 million in corporate tax loopholes now closed, grassroots leaders running for – and winning – elected office. TakeAction is seeking an experienced and accomplished Director of Membership & Development. This position is bottom-line responsible for all money raised by our organization, including foundations, major gifts, events, and has a special emphasis on growing and unleashing the potential of our grassroots and institutional membership. Fundraising at TakeAction Minnesota is a team effort – from our Executive Director to program and organizing staff to our grassroots Outreach Team – we have a culture of asking for money to further our mission. We are searching for a team leader, someone who can marshal our staff capacity, plan effectively, and set, oversee and implement goals. This position also directly manages a Grants Coordinator and an outstanding contract grant writer, and works closely with a strong Data & IT Manager, and finance staff. A successful candidate for this position understands what’s at stake for our communities and loved ones in this political moment, and is hungry to seize opportunities and solve problems both big and small. Grow TakeAction Minnesota’s Dues-Paying Membership. Expand the number dues paying individual members of TakeAction Minnesota. Develop, refine and deepen TakeAction Minnesota’s culture of membership through program development, planning and goal-setting. Work with our Data & IT Manager to link data needs with member growth. Provide support and broad direction to our Outreach Team Director (field canvass) and ensure our grassroots fundraising work on the doors is on target and its most effective. Planning and Team Leadership. Convene and lead a cross-organizational staff team to develop and implement an annual development plan which integrates membership, foundation grants, major gifts, and events. Take bottom line responsibility for writing and implementing this plan. Set goals and monitor progress toward annual fundraising goals. Grants Management. Manage the Grants Coordinator and ensure all proposals, reports and concept papers are completed on time and with great quality. Coordinate administrative and finance support with the appropriate staff. Manage contract grant writer. Work with the Executive Director and programmatic leads to seek out new and prospective funders. Major Gifts. Develop TakeAction’s capacity to raise significant financial gifts from individuals and institutions. Develop an annual plan and goals, coordinating with the Executive Director and other program staff who will also be responsible for raising these gifts. Annual Celebration. Working with a team to lead our big yearly event, ensuring it meets its budgeted fundraising goals and offers our members a positive experience. 5 – 7 years of fundraising experience, including grassroots/membership-based fundraising and grants/foundation support. Strong project management experience and proven ability to meet urgent deadlines and managing multiple competing priorities. Excellent team leader and team mate with a demonstrated ability to lead a team of peers (not only subordinates) and work thrive in a dynamic and diverse workplace. Superb writing and editing and interpersonal communication skills. A working knowledge of data management systems and donor software (TakeAction Minnesota utilizes EveryAction database). Community organizing, coalition building, and/or campaign experience. Fluency in Somali, Hmong, or Spanish. A strong commitment to social, racial, and economic justice and progressive political change. Enthusiastically promote TakeAction Minnesota’s goals and priorities in compliance with all policies and procedures. A movement building orientation, striving to build the strength of TakeAction Minnesota and its member organizations and allies. Flexibility to work outside normal business hours that include evenings and weekends, and work extended hours, if needed, to accomplish requirements of the position. A valid Minnesota State Driver’s License is required and access to a reliable vehicle. Work is performed in a standard office environment which requires occasionally lifting such articles as file boxes or heavier materials with help from others and/or lifting and carrying light objects frequently. A job in this category may require walking or standing to a significant degree or may involve sitting most of the time with long periods of computer work and heavy phone usage. Salary is commensurate with experience. Full health and dental benefits and retirement package. This position is NOT a member of the Minnesota Newspaper and Communications Guild. This position reports directly to the Executive Director. Position will be located in our St. Paul office, but may be required to travel at times. Send electronic cover letter, resume and three references care of emma@takeactionminnesota.org with the subject line DIRECTOR OF MEMBERSHIP & DEVELOPMENT by no later than December 15, 2017. NO PHONE CALLS OR EMAIL INQUIRIES WILL BE ACCEPTED. TakeAction Minnesota is an equal opportunity employer and encourages applications from people of color, persons with disabilities, LGBT individuals, and women. The Metro Food Access Network (MFAN) and The Food Group are presenting a series of workshops to help food access advocates understand the pervasive role of racism in the food system. Since the colonization of stolen lands from Indigenous peoples and the kidnapping and enslavement of people from Africa to build the United States of America, no system or institution in this country has remained untouched by racism and white supremacy, including the food system. In order for us to achieve MFAN’s vision of a safe, just, healthy food system for all, we must develop a shared understanding and analysis of race and racism. In alignment with the MFAN’s strategic priorities of building skills and knowledge of network partners to advance equitable access to healthy food for all and integrating equity into all network actions, this series aims to provide a space for conversations about racial justice and resources to examine how we, our systems, and our institutions perpetuate racism and white supremacy. While this series is a starting point and will provide several opportunities to advance racial equity, MFAN network partners must understand that it is essential to seek other opportunities to learn and dismantle racism as well. The Minnesota Museum of American Art (the M) offers interns unique opportunities to develop new skills, refine existing ones, and contribute to the operation and success of a growing, dynamic museum. The M is accepting applications for a Collections Internship. The position is approximately 13 weeks long; required hours are Mondays and Thursdays, 4 hours per day (8 total hours weekly). The M’s collection consists of sculptures, textiles, and works on paper. The Collections Intern will provide support for maintaining registration records and learning about acquisitions, the accessioning process, art and artifact handling procedures, storage care and maintenance, environmental care, and overall museum operations. 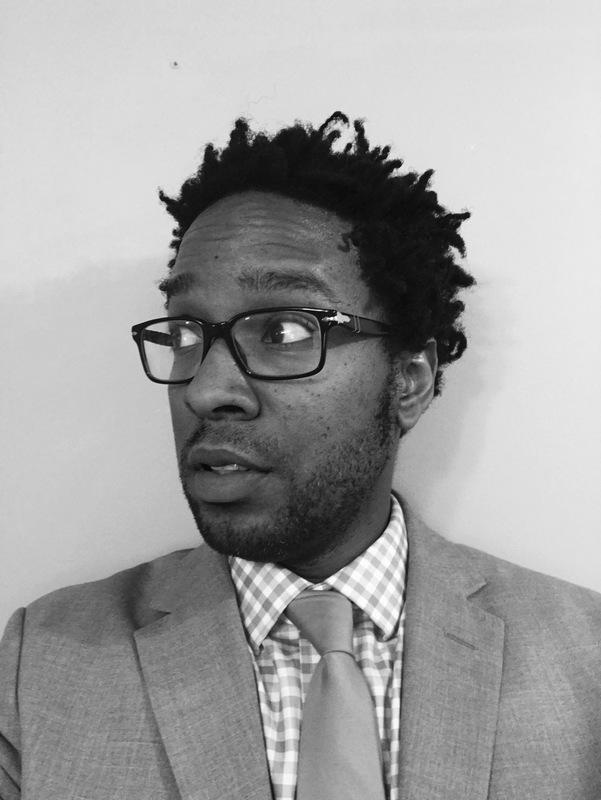 Michael Kleber-Diggs is a poet and essayist. His writing has appeared or is forthcoming in McSweeney’s, Poetry City, North Dakota Quarterly, Pollen Midwest, Paper Darts, Water~Stone Review and a few anthologies. He enjoys collaboration with visual artists. 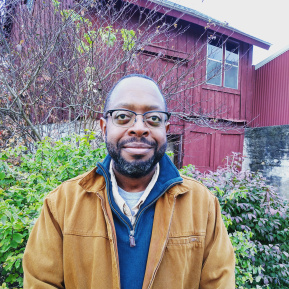 Michael is a past Fellow with the Givens Foundation for African-America Literature, a past-winner of the Loft Mentor Series in Poetry, and the inaugural Poet Laureate of Anoka County libraries. His work has been supported by the Minnesota State Arts Board, the Jerome Foundation, and the National Endowment for the Arts. Michael is husband to Karen. Karen and Michael have a daughter who is an accomplished dancer. 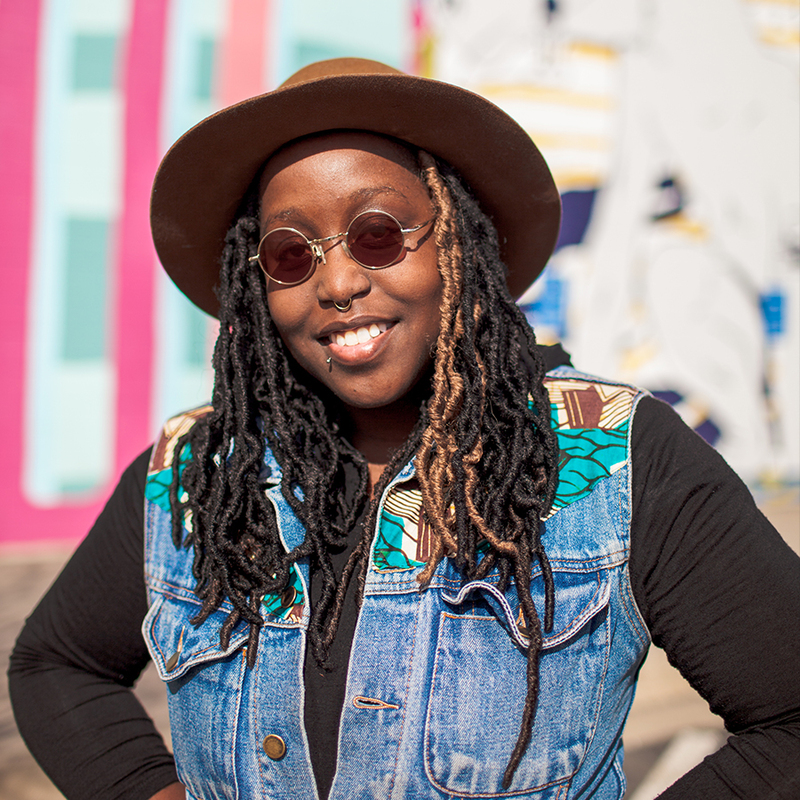 Adja Gildersleve (they/she) is a filmmaker, photographer, and educator based in Minneapolis. 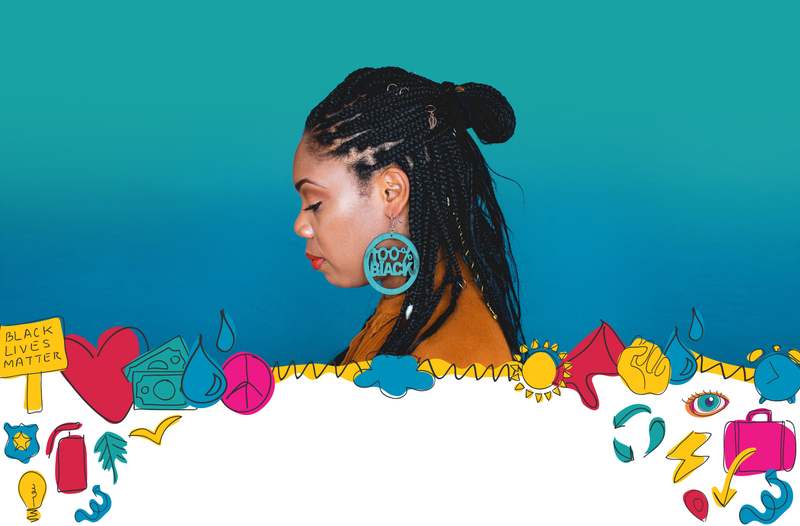 Adja spent years as an organizer and agitator on the frontlines and now she is the Co-director of Free Truth-- a media company using art as a tool for liberation. Adja is a ride or die when it comes to fighting oppression in any form and supporting youth and adults to access tools to build and maintain agency and power. Their dream is to work with Issa Rae and Ava Duvernay on a sci-fi film where two Black women travel back in time to save the world from the zombie apocalypse aka colonization/capitalism. All of this with a bundle of your favorite Capricorn traits. 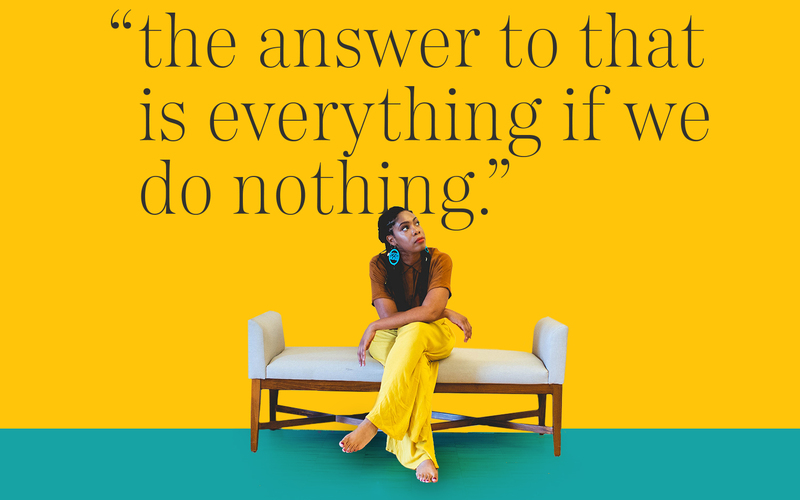 Terresa Moses is the Creative Director at Blackbird Revolt, an Assistant Professor of Graphic Design at UMD, and the creator and design researcher of Project Naptural. 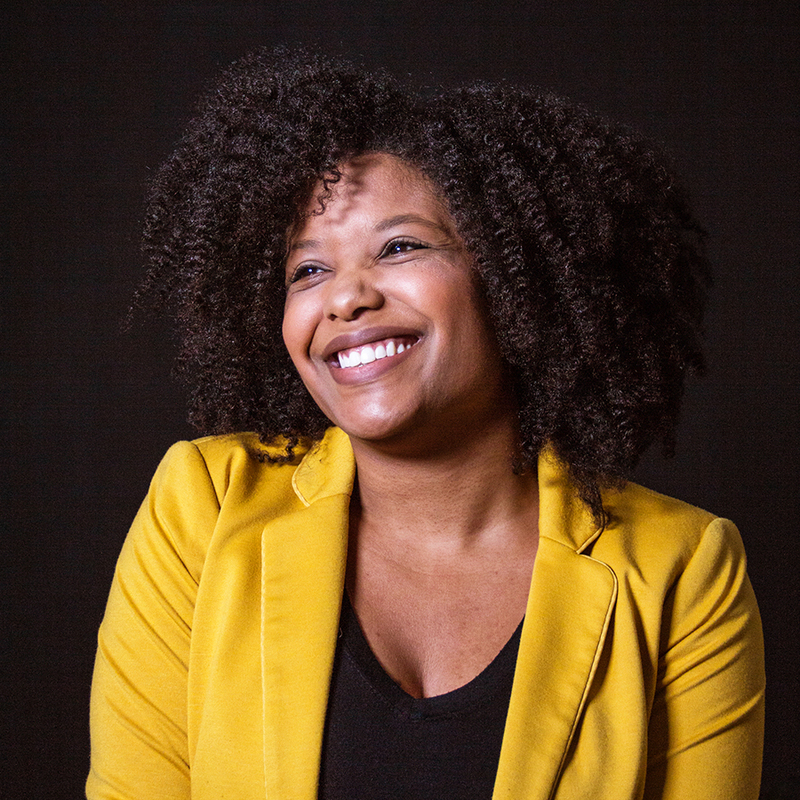 She serves on the executive boards of the Duluth NAACP, the Clayton Jackson McGhie Memorial Committee, and on the board of AIGA Minnesota as the Director of Diversity & Inclusion. Melanie Stovall is the Design Director of Pollen working to further a mission to change the world with art and storytelling. While serving on the board for AIGA Minnesota as the Associate Director of the Sustainable Design Committee, Melanie helped implement programming that educated the community on environmental issues and trained designers to integrate sustainable practices into their client work. She was recently named one of AdFed’s 32 Under 32 and her work has been featured in Communication Arts. 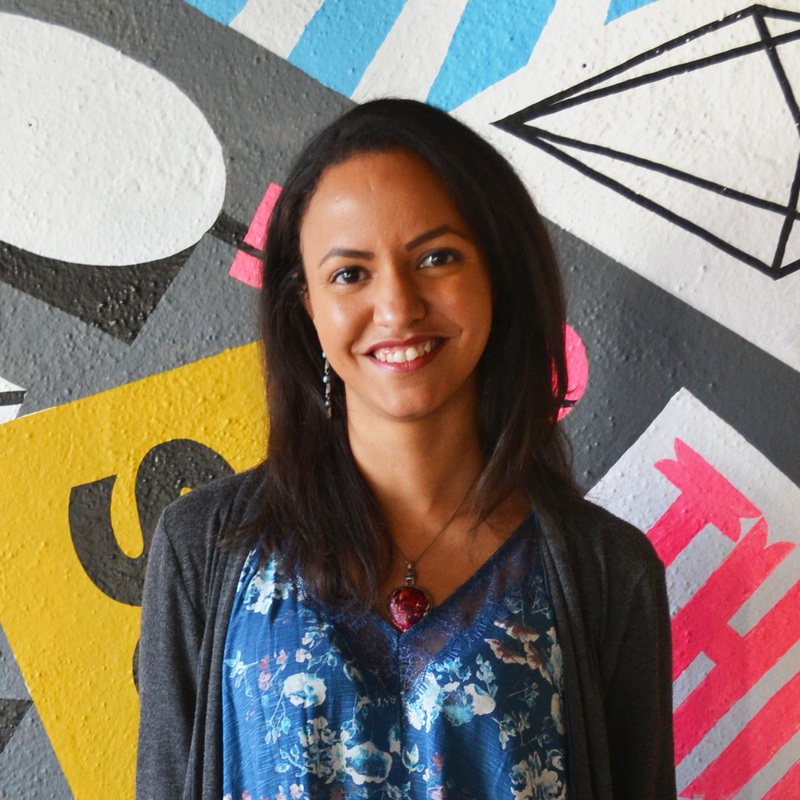 After six years of working in advertising at various agencies and design firms in Minneapolis, Melanie made the switch to the nonprofit world working as Communications Manager of Juxtaposition Arts and now as the full-time Design Director at Pollen Midwest. As editor, Jerome is the keeper of Pollen’s editorial voice and vision. He works with Pollen’s talented stable of writers to produce stories that entertain, enlighten, and invite readers to take action. Jerome spends a lot of time hunched over keyboards--either editing the latest Pollen feature, or composing music in his home studio. He’s active in local politics, less active on social media, and more active in his kitchen.